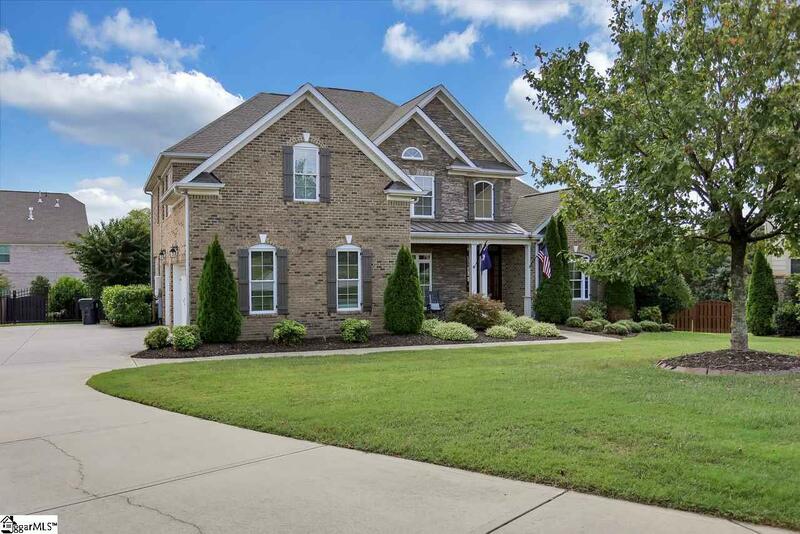 **FIVE FORKS "DOLLHOUSE" WITH BRAND NEW SOLAR** This 4BR/3.5BA custom built, ENERGY EFFICIENT home, located in a quiet cul-de-sac of Five Forks Plantation, has a wonderfully functional Floorplan. 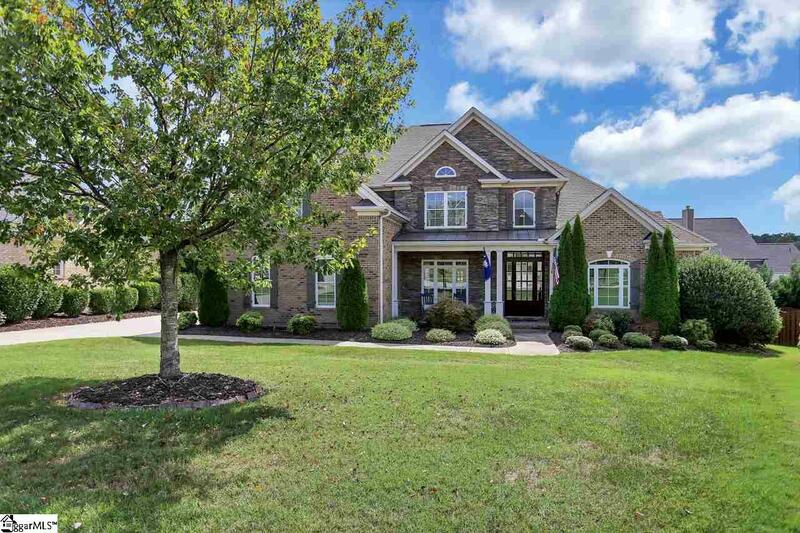 The Rocking Chair front porch, gives way to the Two story foyer where you see gleaming Hardwoods, custom trim work and Coffered Ceilings in the formal dining area, flanked by French Doors to the private Office/Study. The Vaulted Great Room, with Loads of Natural Light from Cathedral style windows on either side of the fireplace, is a great place to spend time with Friends and Family. The Gourmet kitchen has Custom Cabinetry, new Stainless Appliances, Granite Countertops, loads of counter space, & Eat up Bar, overlooking the Keeping Room and Breakfast Area. 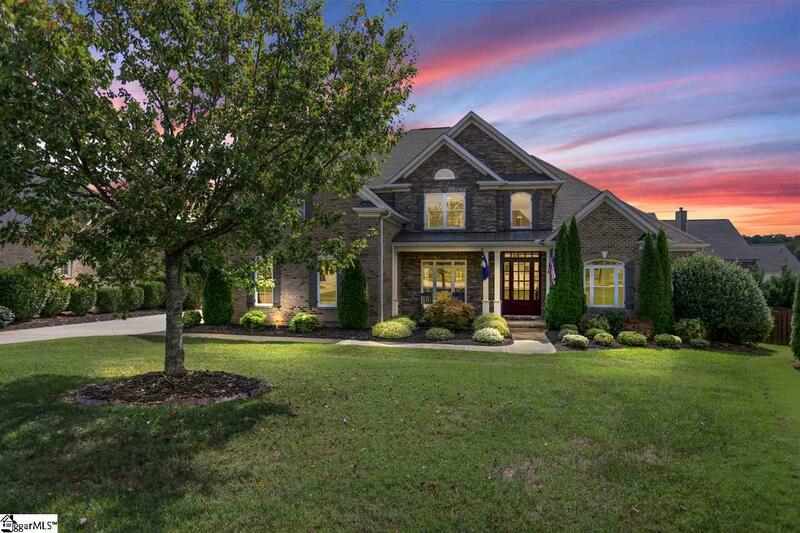 The Well Appointed "Master Suite on the MAIN Level" boasts Trey ceilings, an enormous bay window, sitting area, his & her Vanities, Large shower, jetted jacuzzi tub and massive Walk In closet. Upstairs you find a Large Guest suite with private bath, 2 BR with Jack and Jill bath and the 26X15 bonus room, perfect for the kids play room or Dads Man Cave. With a Brand NEW $60,000 "Solcius Solar System" you can expect a minimum of $250 in electric bill savings monthly. 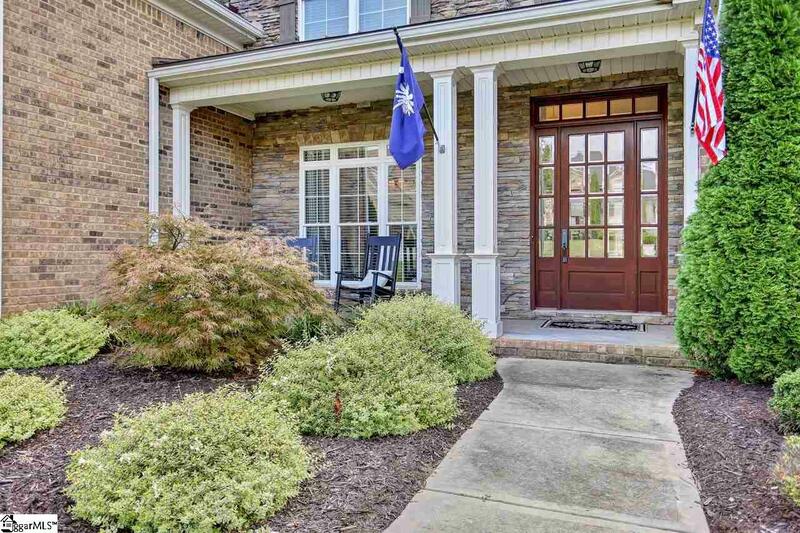 Add the energy efficiency with all New Landscaping, outdoor lighting, Fenced in back yard, Five Forks location, access to shopping, restaurants, central location to Greenville or Spartanburg, award winning schools and this is a place to call home! Come take a look, I bet you love it! Listing provided courtesy of Ty Savage of Keller Williams Grv Upst.